Following the successes of last years expedition, British Exploring Society once again teamed up with the Oman Office for Conservation of the Environment (OCE) to deploy an expedition research team to the Jabal Qamar mountain range in south-western Dhofar, Oman. The research area incorporated a 20km long coastal valley called Wadi Sayq, the catchment area of which is considered the last remaining stronghold for the Arabian Leopard in the western Dhofar Mountains, and quite possibly the most verdant and biodiverse terrestrial environment in the whole of Oman. The scientific objective of the expedition was to survey a broad array of taxa to better understand the wildlife communities and the unique ecosystem of the wadi. Armed with the intelligence from the 2012 expedition I was able to design a science programme to target keystone groups of taxa, provide informative and robust data sets, and inspire the expedition members about the ecological communities and their conservation. Building on the previous year’s research themes, surveys focused on the large mammals, small mammals, birds, reptiles, insects and bats. Leopard experts Hadi al Hikmani and Khalid al Hikmani joined the expedition to assist with the deployment of 26 camera traps throughout the wadi system, the results of which could not have been more impressive; capturing spectacular footage of the Arabian leopard as well as striped hyena, caracal and Arabian wolf. The small mammal research exposed an abundance of Arabian spiny mouse, an important prey species for the leopard. 80 hours of bird surveys revealed over 70 bird species, several of which are globally threatened with extinction. Several reptile species endemic to the Dhofar Mountains were recorded including the rarely seen Thomas’s Racer, a stunning orange and black banded snake. Insects were collected by hand or through the use of an ultraviolet light trap and specimens donated to the Oman Natural History Museum for their collections and displays. Bats were surveyed through the use of an echolocation detection device and the results are indicating numerous species occupy the wadi. Through the assistance of the OCE the expedition also gained a golden opportunity to share its work with 150 students and 30 teachers across 5 secondary schools in the local area. The classes were fascinated by our demonstrations of the survey methods and we hope by the end the students understood a little bit better why a group of people had raised money to fly all the way to Oman to sleep outside with the ‘beasties’. The research could not have been undertaken at a more critical time. There is increasing pressure for a road to be constructed between the coastal towns either side of the wadi. The road construction would not only directly affect the ecosystem but the subsequent improved access to the area would cause depletion of the habitat due to increased human activity, pollution and over-grazing. 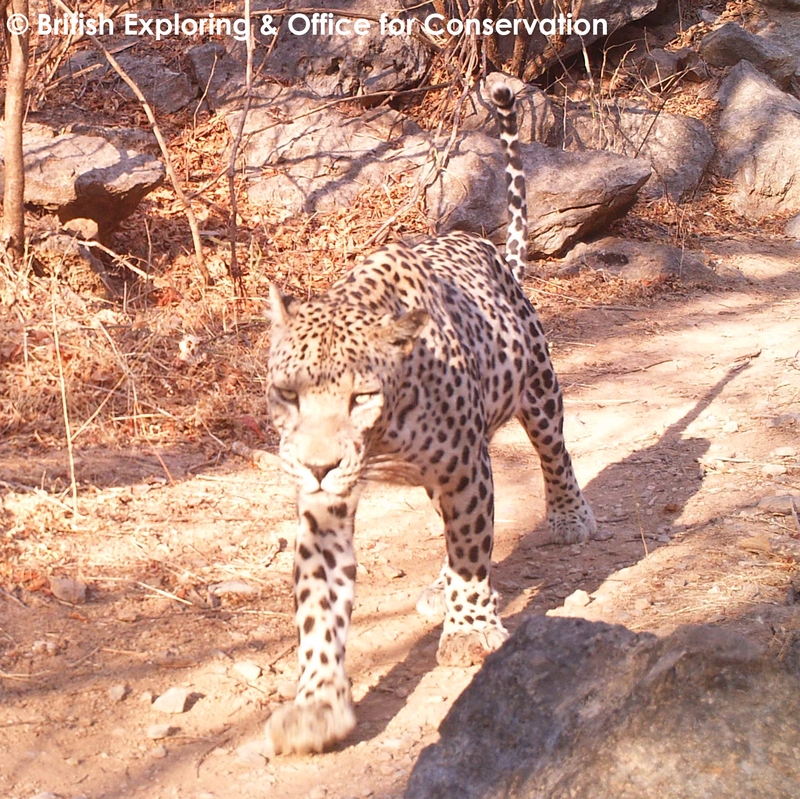 Depletion of resources at the base of the food chain could eventually affect the survival of the flagship species for conservation in Oman; the critically endangered Arabian leopard. The results of the expedition research in 2012 and 2013 will be utilised to lobby against the construction of the road and to hopefully gain formal protection of the area.